3 Queen cabins with private heads and stall showers. Please note that the starboard forward double berth can be split into a twin V-berth. Communicate: WiFi onboard is limited. Amy & Biff have been sailing together since 2003 when they first met on a beach in Greece. They were supposed to meet at the ferry port of sleepy Porto Heli but Biff forgot to pick Amy up and she found him instead at the bar on the beach, entertaining his guests! That was the start of something special and they have worked, lived & sailed together ever since. Having always worked in the marine tourist industry they love meeting strangers who at the end of their vacation leave as friends! Captain Biff learned to sail at the Cub Scouts at a tender age and was hooked! As soon as he was old enough to teach sailing he packed his bags & found his way to the Mediterranean coast of France to start his first overseas instructor job. Working his way around France and Spain he finally settled down in Greece running his own sailing school on the chic Greek Riviera. Cold winters of Europe called him to work in Kenya briefly before settling in the BVI’s running luxury charters in warm waters! Having learned to cook at the age of 9 so she could watch ‘neighbours’ (Aussie Soap) on TV, Amy added windsurfing & then sailing to her interests after finishing university in order to travel. First working in Turkey, Italy & France Amy finally moved to Greece & met Biff. Wherever she travels she picks up local recipes and cooking techniques, which she refined at the renowned Ashburton & River Cottage cookery schools, both in Devon, UK. Fresh, seasonal & local produce are her favourite ingredients put together in a fusion of worldwide flavours for all to enjoy! 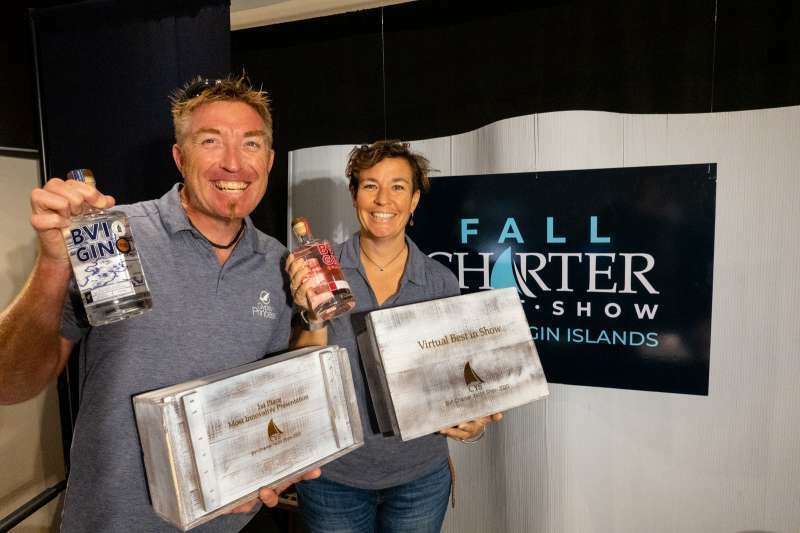 Between them, Amy & Biff have the experience & knowledge to steer you a course to a truly memorable vacation. With their water sports background they are able to teach even the most reluctant swimmers, sailors, paddle boarders to confidently make the most of their time on the water regardless of age. Their years working in family orientated resorts in Europe also lend them to be dab hands at arranging fun and relaxing family charters. Known for their flexibility & competence, your wish is their command. Amy is a sailing, windsurfing and paddle board instructor, Biff is a sailing, powerboat, wakeboard and waterski instructor. 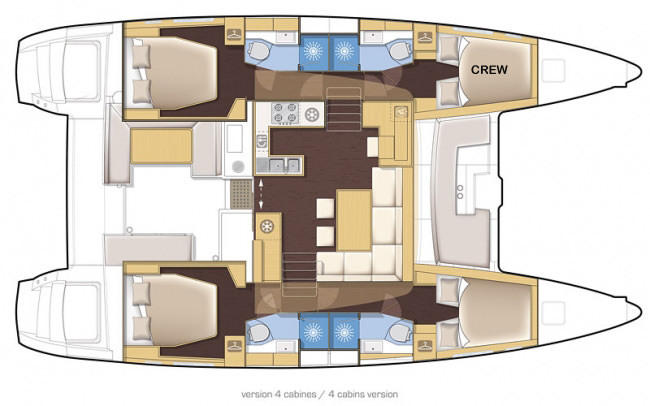 Other Entertain: Padded sun deck on top of flybridge. Extra large seating on flybridge. Sunken forward cockpit in front of mast for perfect happy hour. Perfect. Had an amazing vacation and would recommend it for anyone to do. The crew Tommy and Emma were top draw they could not do enough to please us.